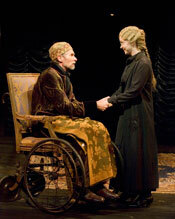 Globe Associate Artist James R. Winker as the “King of France” and Kimberly Parker Green as “Helena” in The Old Globe’s Summer Shakespeare Festival production of All’s Well That Ends Well, by William Shakespeare, directed by Darko Tresnjak, playing in the Lowell Davies Festival Theatre June 14 – September 28 photo by Craig Schwartz. 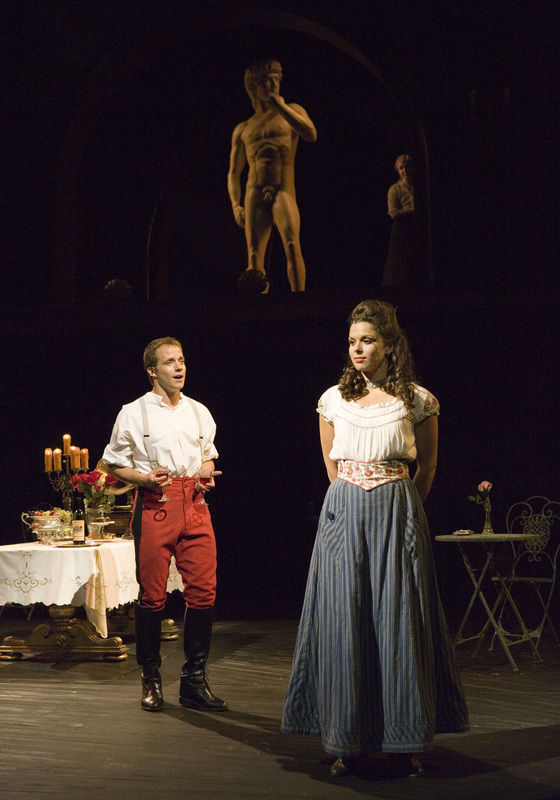 Globe Associate Artist Kandis Chappell as the “Countess of Rossillion” with Kimberly Parker Green as “Helena” (above) and Associate Artist Jonathan McMurtry as “Reynaldo” in The Old Globe’s Summer Shakespeare Festival production of All’s Well That Ends Well, by William Shakespeare, directed by Darko Tresnjak, playing in the Lowell Davies Festival Theatre June 14 – September 28; photo by Craig Schwartz. 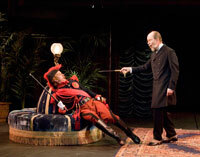 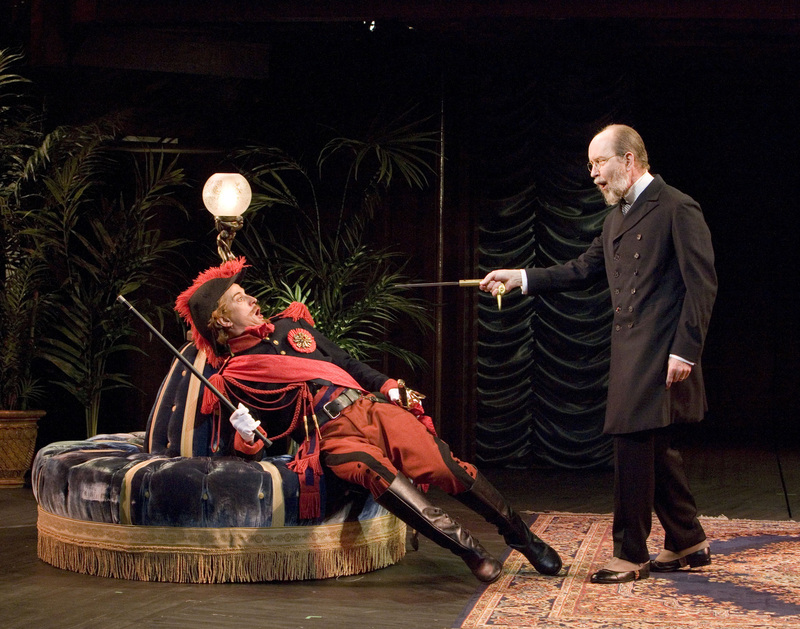 (L-R) Bruce Turk as “Parolles” and Globe Associate Artist Charles Janasz as “Lord Lafew" in The Old Globe’s Summer Shakespeare Festival production of All’s Well That Ends Well, by William Shakespeare, directed by Darko Tresnjak, playing in the Lowell Davies Festival Theatre June 14 – September 28r; photo by Craig Schwartz..
(L-R) Kimberly Parker Green as “Helena,” Globe Associate Artist James R. Winker as the “King of France” and Graham Hamilton as “Bertram” in The Old Globe’s Summer Shakespeare Festival production of All’s Well That Ends Well, by William Shakespeare, directed by Darko Tresnjak, playing in the Lowell Davies Festival Theatre June 14 – September 28; photo by Craig Schwartz. 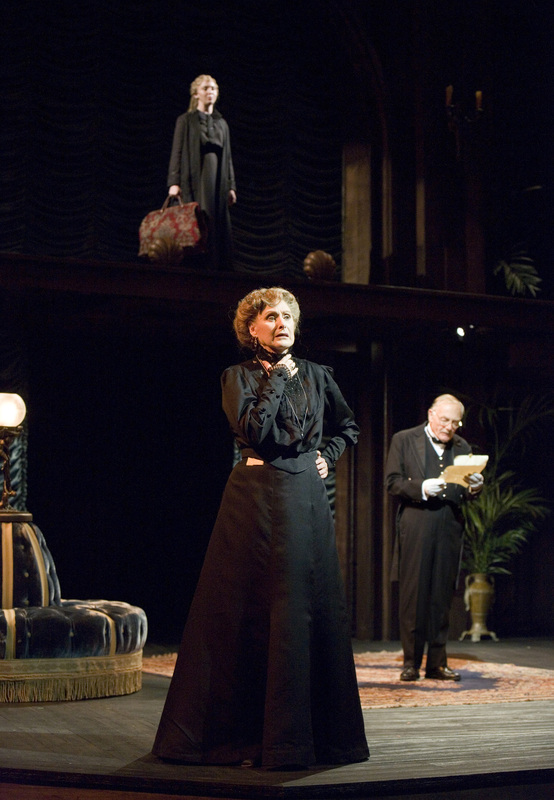 Graham Hamilton as “Bertram” and Vivia Font as “Diana” with Kimberly Parker Green as "Helena" (background - right). 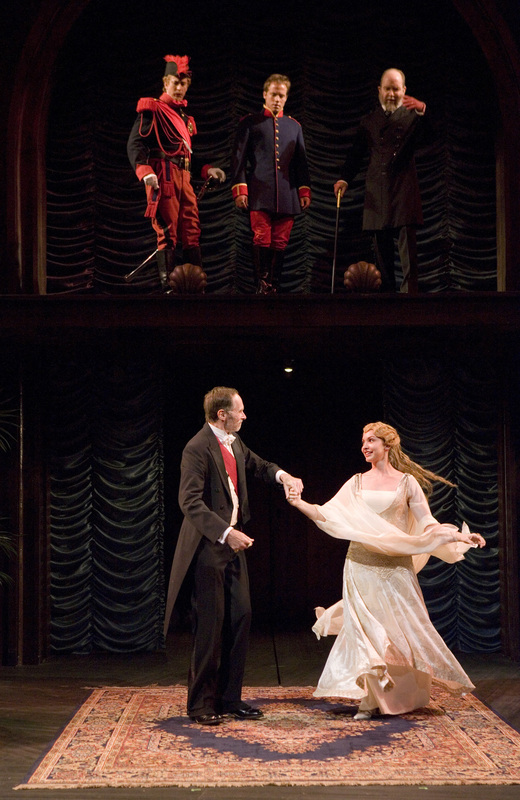 in The Old Globe’s Summer Shakespeare Festival production of All’s Well That Ends Well, by William Shakespeare, directed by Darko Tresnjak, playing in the Lowell Davies Festival Theatre June 14 – September 28; photo by Craig Schwartz.. 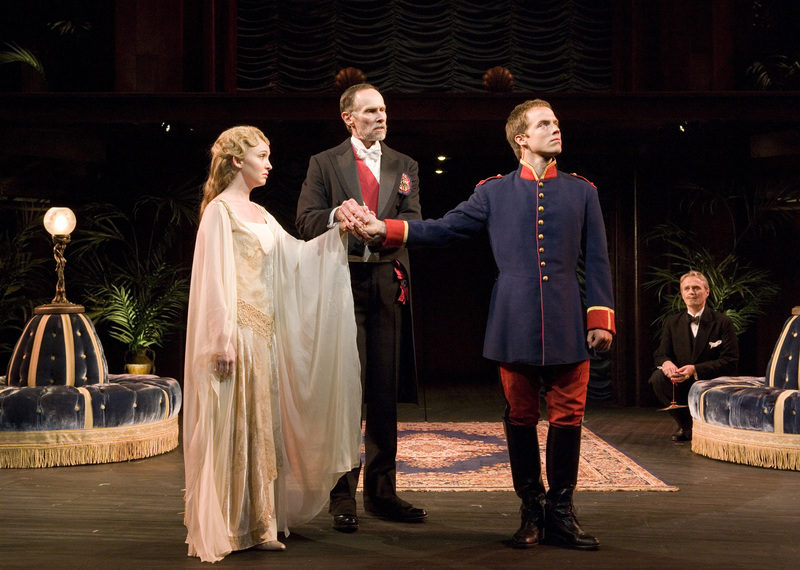 Above (L-R): Bruce Turk, Graham Hamilton and Charles Janasz; below: Globe Associate Artist James R. Winker and Kimberly Parker Green in The Old Globe’s Summer Shakespeare Festival production of All’s Well That Ends Well, by William Shakespeare, directed by Darko Tresnjak, playing in the Lowell Davies Festival Theatre June 14 – September 28; photo by Craig Schwartz.